An engagement is supposed to be one of the happiest occasions for any couple but a bride-to-be is now considering breaking up after she found out the ring was fake. 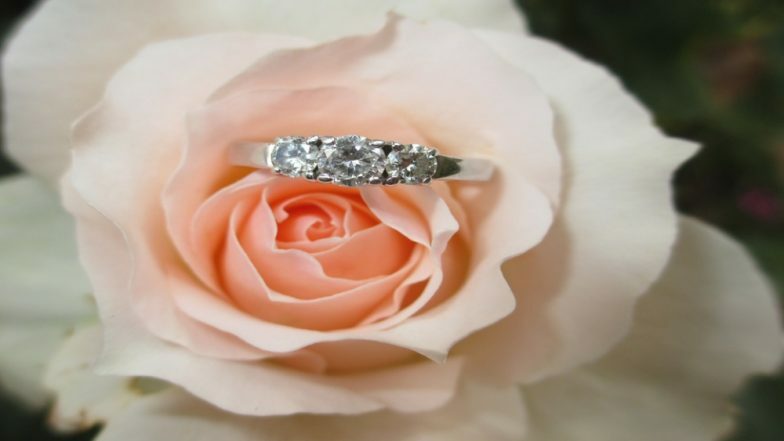 The bride went ahead to get her ring inured but found out it was made with cubic zirconium, an imitation diamond. The fake jewel upset her so much, she is now considering breaking up her entire relationship. An anonymous woman wrote to a columnist seeking advice if she should break up. Honeymoon Divorce! Arab Woman Seeks Separation on Learning Husband's 'Cheap' Behaviour. The woman wrote to columnist Natalie Bencivenga, "I was truly embarrassed." When she confronted her fiancé he shrugged it off and told her it is not a big deal. He mentioned that getting a real diamond would have cost him a fortune and thus he got a fake ring. He said that the ring doesn't make much of a difference and it does look real. She was upset that she was lied to and was now considering breaking off her entire relationship. In her response, the columnist wrote, "Having your engagement ring turn out to be a fake is not exactly the way you want to start a life together." She also mentioned that the man wanting to believe her that the ring was real is a problem. It is not materialistic to have a real ring but having an assumption that the ring is real is a problem. In fact, the to-be-husband gave her assumption that it was a real ring, nothing wrong with it. Woman Finds Her Husband is Father to 47 Kids! Wife of Sperm Dad Considers Seeking Divorce. Meanwhile, other women said that it is alright to have an imitation ring. They said she should rock the cubic zirconium ring. Some questioned her that if she was the one who kept assuming or did her fiancé actually tell her it was a diamond ring. Some even called her too high-maintenance to make an issue out of it.